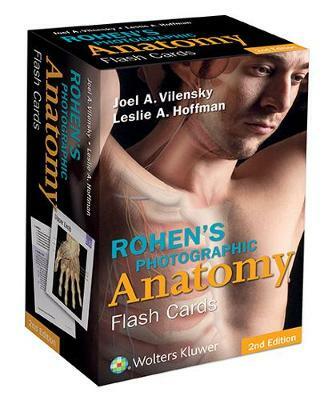 Derived from the leading dissection atlas Anatomy: A Photographic Atlas by Johannes W. Rohen, Chihiro Yokochi, and Elke Lütjen-Drecoll, these flash cards showcase full-color photographs of actual cadaver dissections. 220 cards, labeled for self-testing, serve as a practical tool to help students prepare for the dissection lab and the operating room. Features: -Now includes review questions and additional clinical anatomy. -220 full-color photographs present exquisitely dissected cadavers. -Ideal study aid to review recently dissected regions and to prepare for practical exams. -Includes a key ring and hole-punched corners for easy organization and on-the-go portability.